On our anniversary last week, Sunny was disappointed because her gift for me hadn’t arrived yet. She had ordered something handmade and it was late ending shipped. 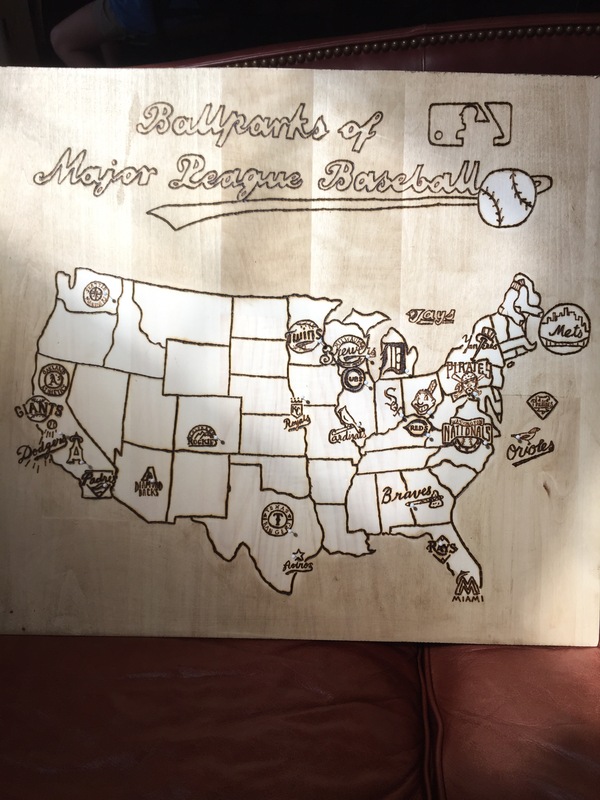 Well, my gift arrived this morning: a wood burned map of the MLB Ballparks, complete with pins to mark the ones you’ve visited. Awesome gift! I already have a spot in my office picked out to display this. Isn’t my wife incredible? Best of all, she actually enjoys visiting these ballparks with me. What a great gift! This entry was posted in Baseball, Sports, Sunny. Bookmark the permalink.